We saved the best for last in today’s show! 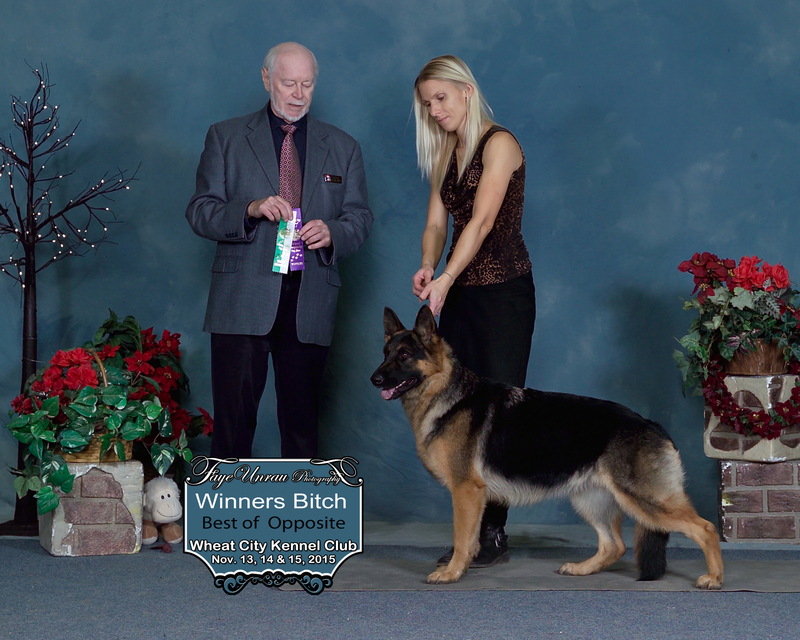 Arie – Best of Breed Breeder/Owner/Handed for 3 points towards his Grand Ch. Beckett – Winners Female for 2 points – she now has 5 points with two majors! Breeder/Owner/Handled. Thank you for Donna for taking her in after for Best of Opposite. A big thank you to Judge Ray Smith for todays wins….he had nothing but compliments for Ms. Beckett…Arie on the other hand had another agenda for today besides the dog show! Beckett went winners reserve in show 2 (only showing her in 1, 2, and 4th show). Also a big thank you for Carolyne for standing in wait with Arie in case she was needed in the ring and for showing him in show 2 as well as thank you to the other judges for the rest of the wins this weekend. Ravyn and Beckett have already found the puddle….some much for clean dogs!